Many drivers only think about their fuel system as needing to add more gas, not as the important and complex system it really is. Here at University Chevron, we know what goes in your fuel system, and why regular service is important. All fuels leave behind small amounts of residue in your vehicle, eventually building up over time to become an issue. 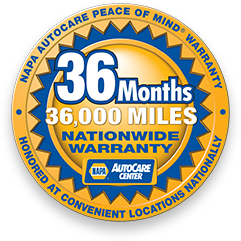 Decreased performance, mileage, and possible damage can all happen if this buildup is allowed to happen, but thankfully the ASE Certified professionals at University Chevron are here to help. Getting rid of that garbage and protecting your car against it is the key to avoiding unnecessary repairs, so save money when you call us, stop by, or schedule an appointment online today.